There are a number of productive placer gold rivers and streams in Canada's southern Quebec Province. Nearly all of these fall under what's know as the Beauceville Mining District, which is 50-60 miles south of Quebec City. Moulin River: Large amounts of non-glacial placer gold were recovered from the Moulin River in past days, with the best gold values typically found on bedrock or in false bedrock clay layers. The extreme upper part of the Roulin is the most productive. River des Plantes: What I said above about the Moulin River applies to the R. des Plantes as well, with one major exception...the des Plantes carries small quantities of platinum in addition to placer gold. Again, the farther upstream you are here the better the precious metals values. Gilbert River: The Gilbert is well well known in the southern Quebec mining community and contains large tracts of placer ground. The best areas along the Gilbert River are found along North Branch and near the junction of Caron Creek. Chaudiere River: Lots of fine or "flour" gold can be found on the Chaudiere only a mile or two upstream from the town of Beauceville. Larger flakes or even small nuggets may exist here as well, but you'll have to do a bit of prospecting and sampling to confirm this assumption on my part. 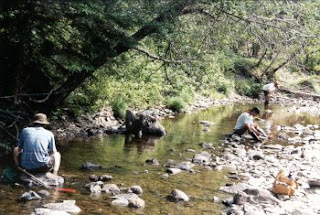 St. Victor River: Your best bet for finding gold on the St. Victor is upstream from where it meets the Chaudiere River. If the river itself is being stingy with its gold, try any terrace or bench gravels you come across. Once again, the best gold-bearing gravels in the area will show the rusty reddish-brown staining of iron oxides/iron sulphides. Bedrock may be very deep but keep an eye out for any clay layers, especially those with a putty like consistency. 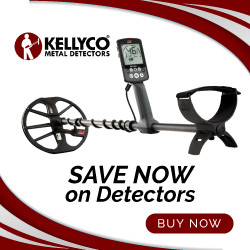 If you liked this post, you may want to read: "More on Gold Prospecting"